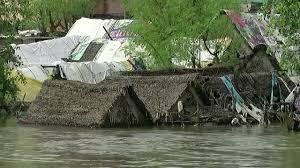 Socialistic pattern of awareness and Training have been provided to the communities in different dimensions on the matter of Disaster preparedness to avoid loss of great lives. 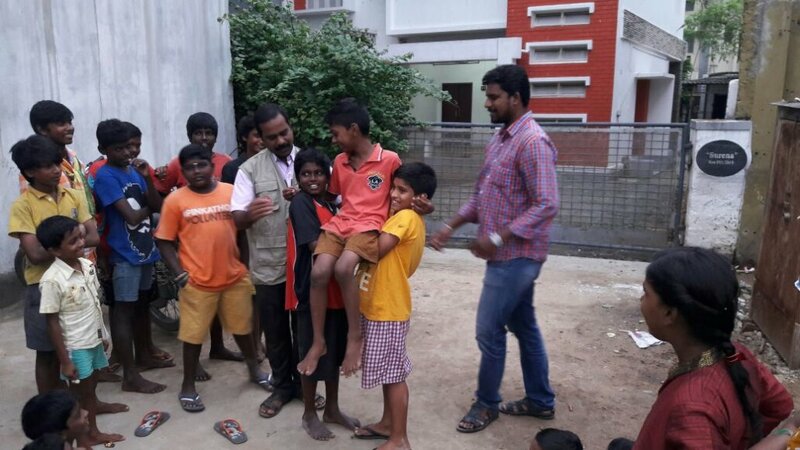 Now, vulnerable slum areas’ people are going to be shifted from the normal congested and typical slum places to such apartments which are to be located away from the city area. 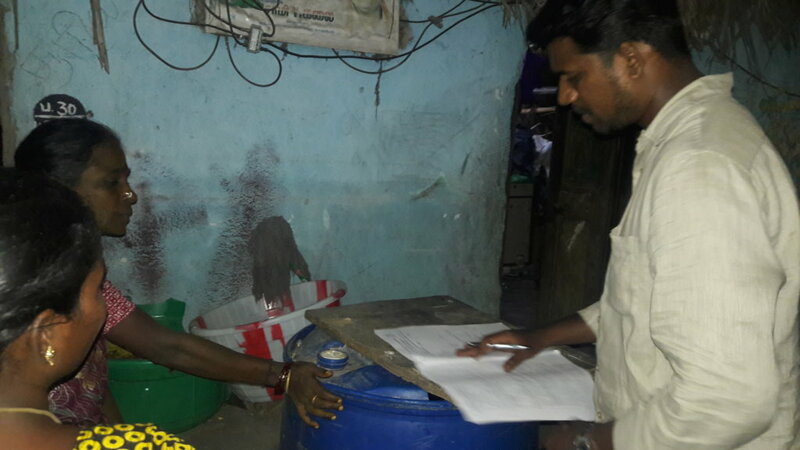 We at SPPD provide perfect and eligible mentoring and personal One to One conselling sessions to the slum communities those who are to be replaced by the Tamilnadu Slum Clearance Board – TNSCB, to the apartment living. 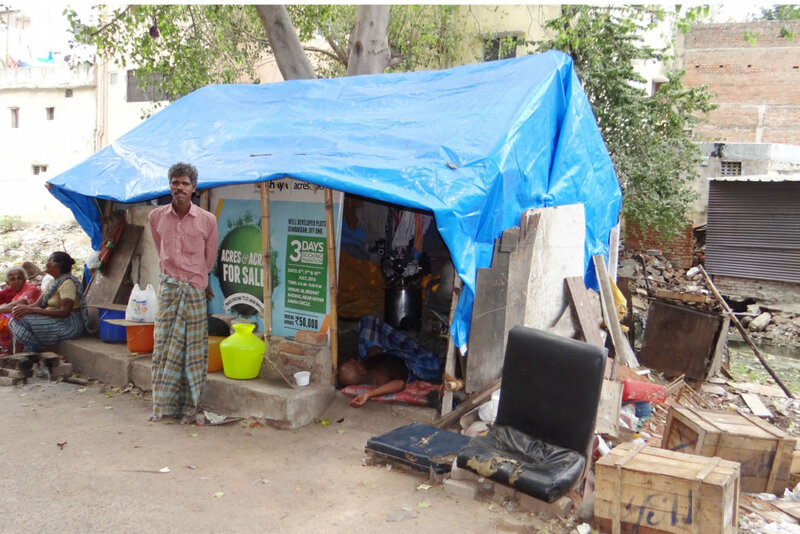 Slum dwellers who have been residing at the horizontal residing area by forming small huts in the narrow lane. 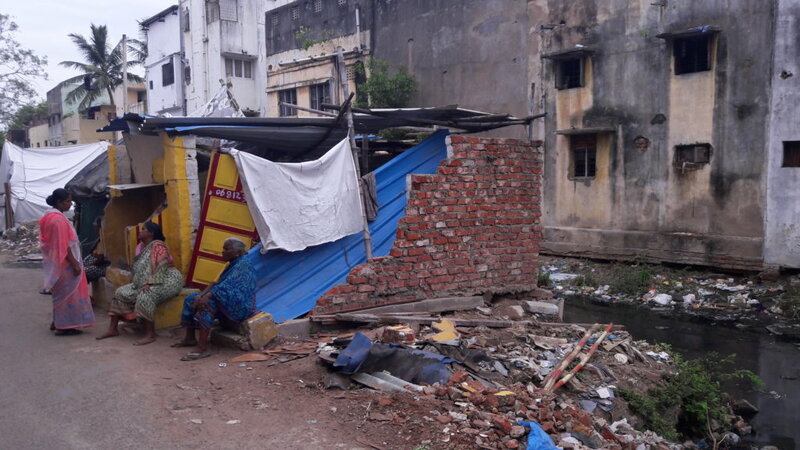 They are accustomed with open door houses, unhygienic and unhealthy style of living nearby drainage and waste water channels, normal living to gather, socially, and of course very transparent style of living with safeguard position from other people intrude in to slum area. 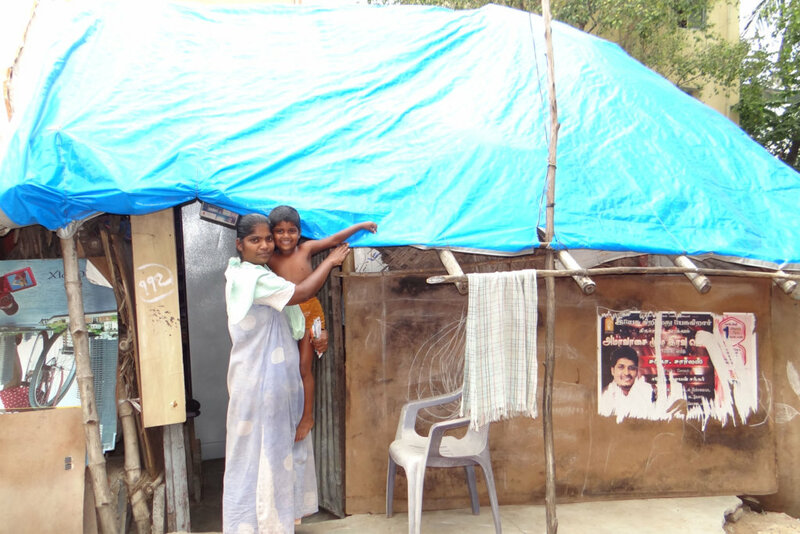 Thus, they reluctant to shift from slum to apartment. 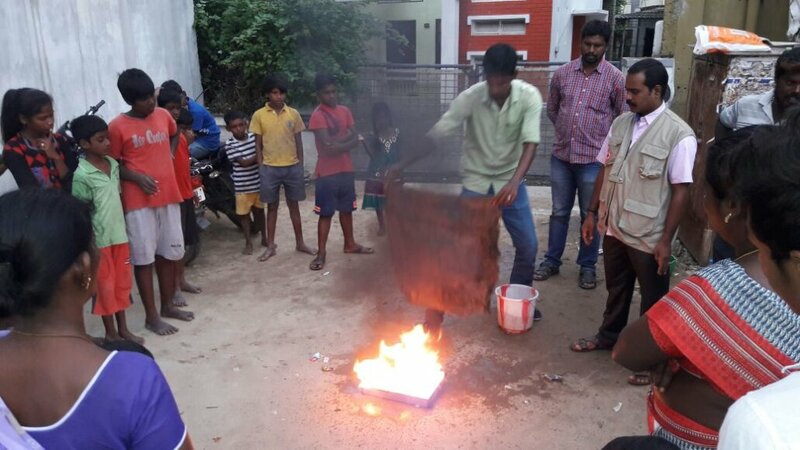 Now SPPD takes place to educate them how far safe from this kind of pollution environmental situation to such hygienic and healthy circumstances. Each and every family has been motivated and personally counseled to be prepared. Not only for environmentally safe but also for disaster preparedness towards avoiding loss of great lives. At last, slum people are mentally prepared by knowing such facts and figures while they live in the apartment living. 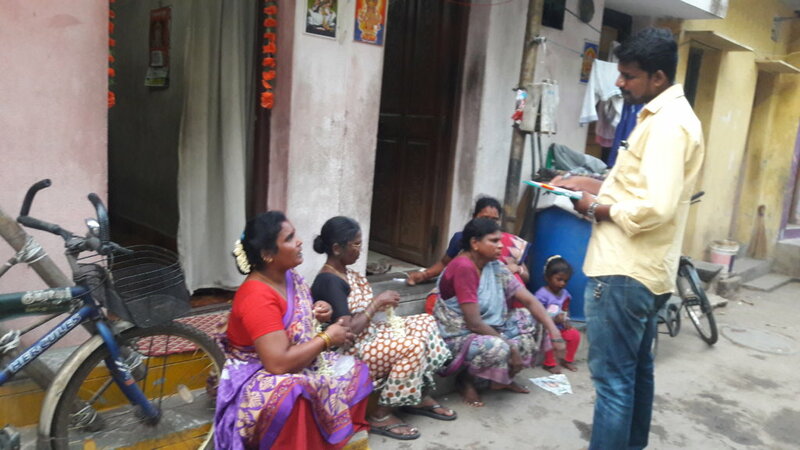 Such Behavior Change communication is worked out in the mindsets of people and they themselves interacting as peer discussion and FGD – Focused Group Discussion among them to arrive sustainable solutions from dark to bright side of life – living at apartments. 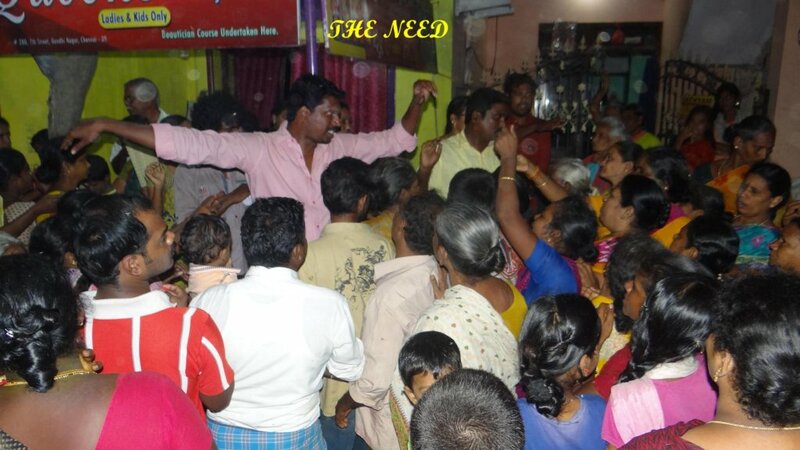 SPPD made its reaching out these people with Tamilnadu Slum Clearance Board and Chennai City Corporation. 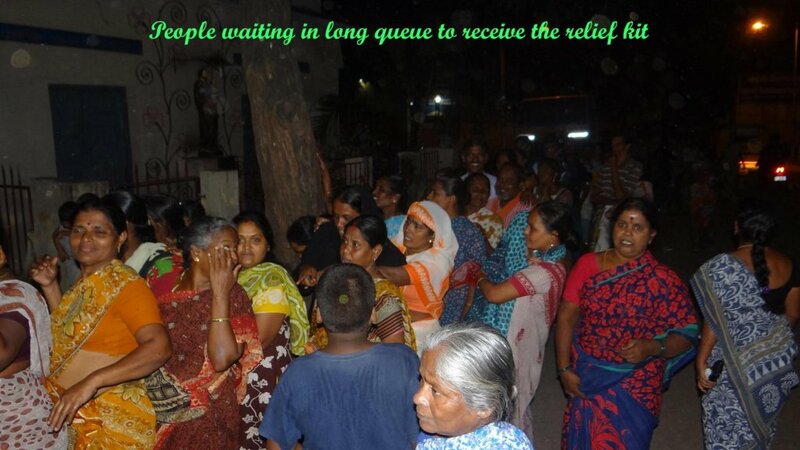 SPPD is very much appreciated by the Tamilnadu Government to reach this scenario among the slum dwellers. Indeed, this kind of changed behavior, psychologically speaking, will boost their standard of living in the society like other urban communities and definitely, their children education standard, socioeconomic and cultural changed would occur in their life. This is what expected impact of current scenario. Since 2015,our team has been performing a scenario to overcome the difficulties in the journey of life among the rural community people. Systemic and effective manipulation through the methodological training that implants the fundamental outlines of lifestyle leads to be safe and healthy.Every dawn, springs up by gaining the knowledge of deliverence among the children,youth,adult and an aged people. So long your contribution helps us to launch our intention.We would like to inform that even more generous support could forward our mission effectively. Once again, we thank each and everyone who has been travelling long with our vision and mission. 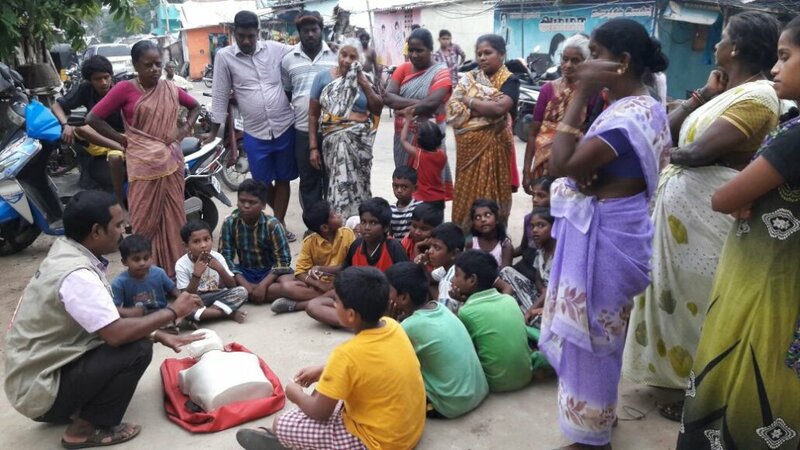 In continuation of our mission for the sufferer of the Chennai flood in slum, community level attentiveness and turbulence preparedness programme have been carried out. 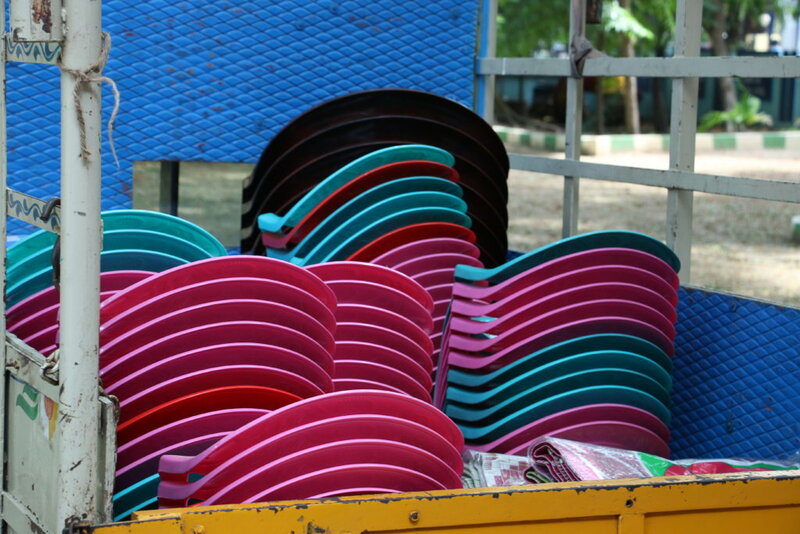 Especially, effective and intensive orientation programmes among schooling children and women. 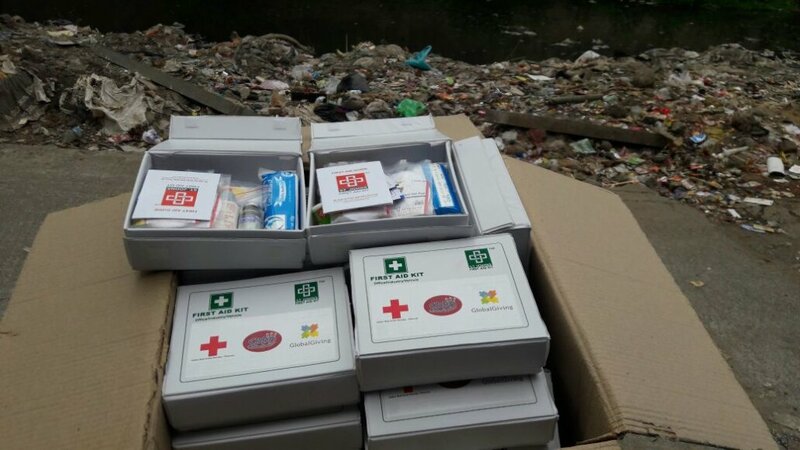 We have been providing first aid kits for free of cost and demonstrate to make use it in emergency and also to handle the victims who is in critical condition before they go through proper medical treatment. Day by day, effect of our team gradually goes up and reduces unnecessary loss due to unawareness. 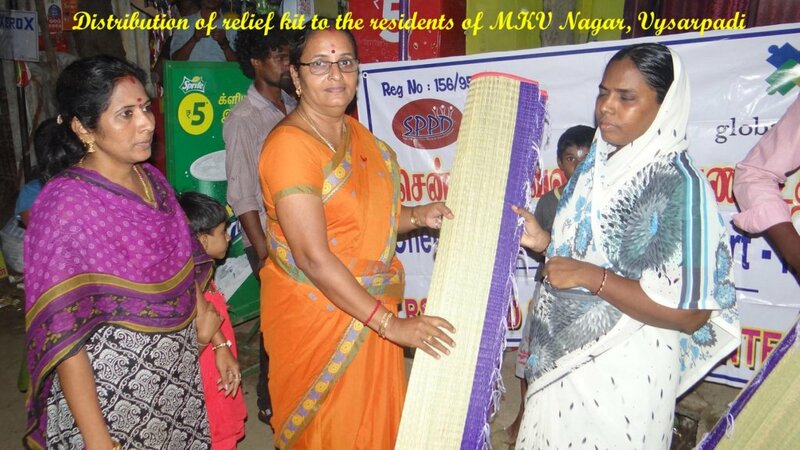 We would like to tribute our gratitude on behalf of beneficiaries. For projecting our vision as a mission successfully, we need sufficient fund to forward the procedure without hurdles. Therefore with lots of hope we are looking forward for the generous support which would give secured life with peaceful mind for the people of settlement. 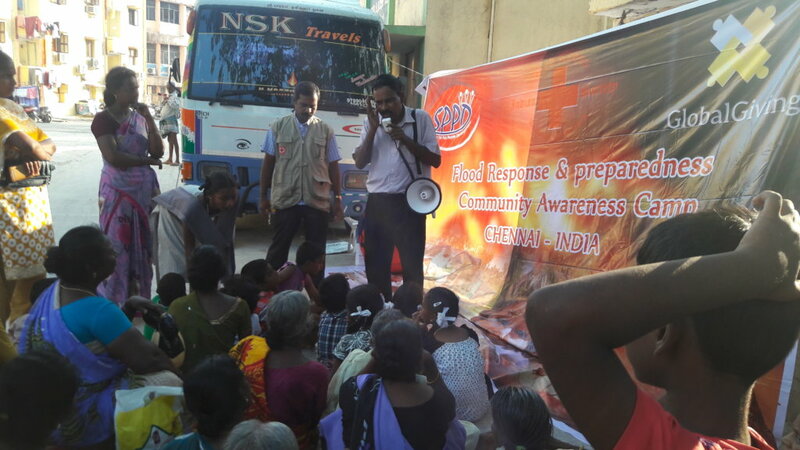 In continuation of our project for the victims of the Chennai flood in slum, community level awareness and disaster preparedness programme were carryout. 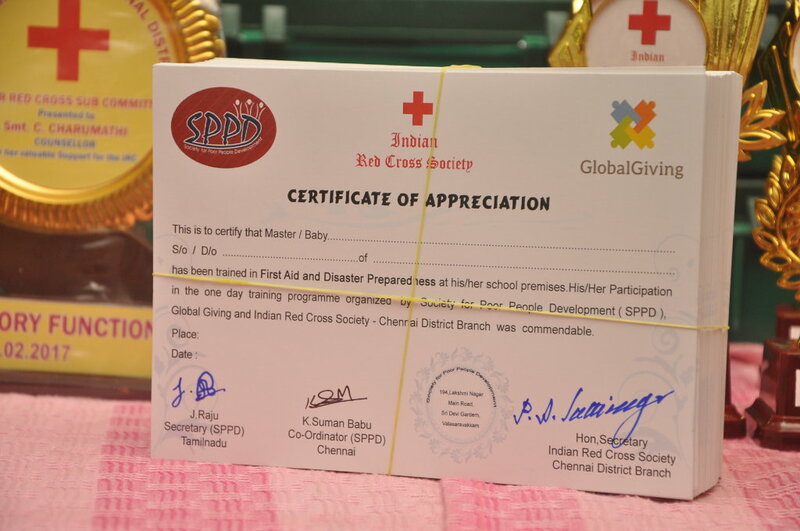 The aim is to educate and make them better prepared for a disaster for the community especially the children. 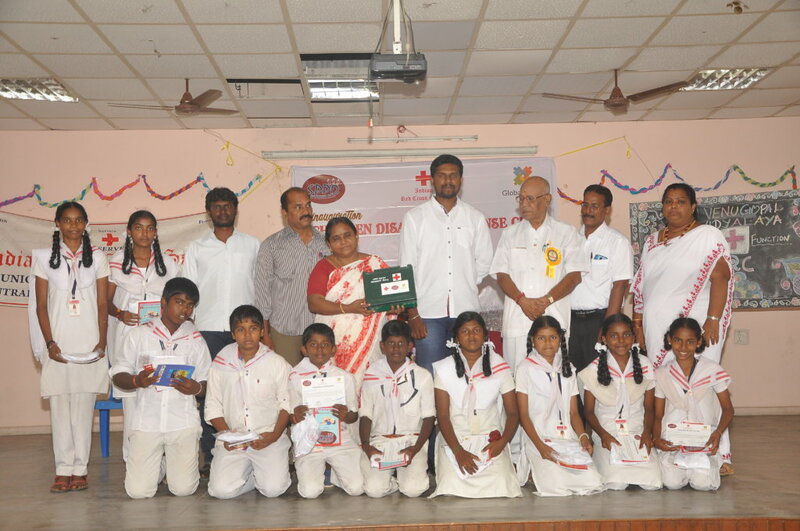 We have been working among the children for the disasters awareness program which has been held by our team members. Our methodology includes, how to rescue the students who was locked in demolish building due to the natural disaster and the way they should carry affected members. Secondly, the youngsters who suffer a lot by strangers were guided how to deliver and rescue through the simple whistling sound. 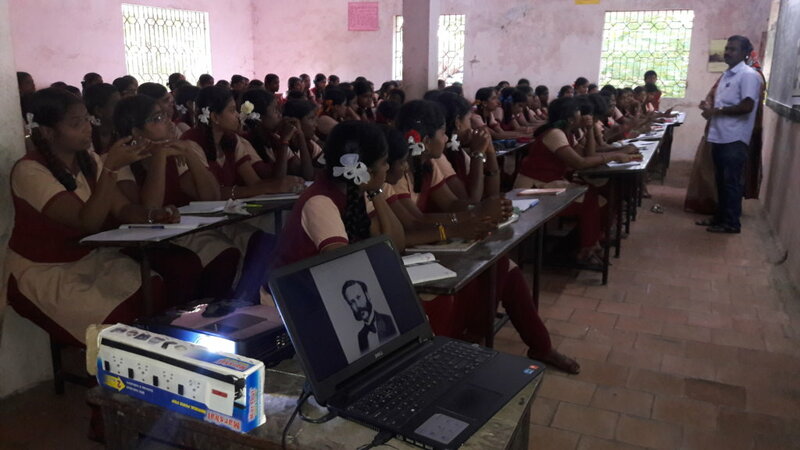 The students are gaining knowledge day by day through our training. It shows a tremendous impact. 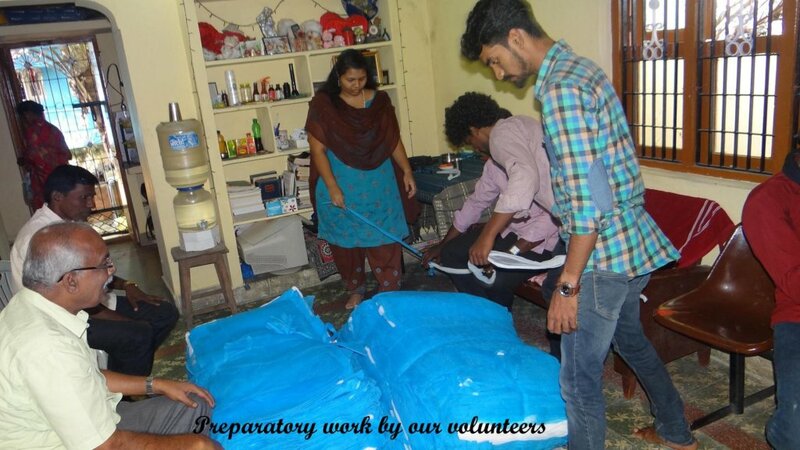 The participants kept the training session very active by their constant interaction with the resource person, clearing their queries during rescuing period, immediate sanitary measures they need to adapt to protect themselves from diseases, etc. 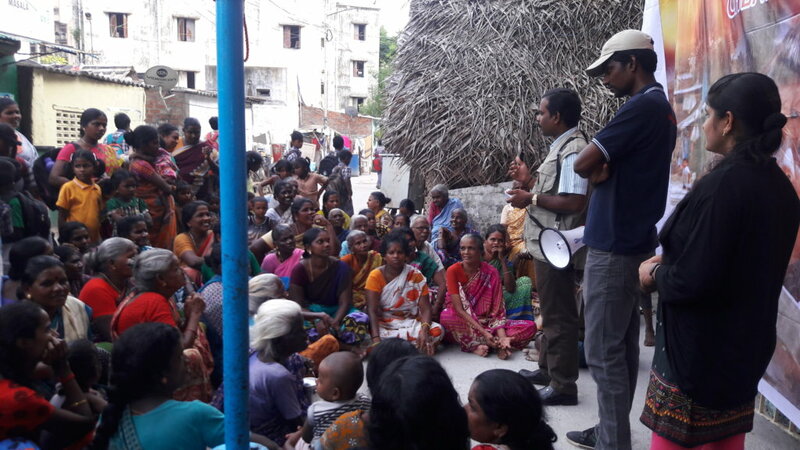 By the end of the training programme the people of this locality had a clear perspective on flood preparedness. 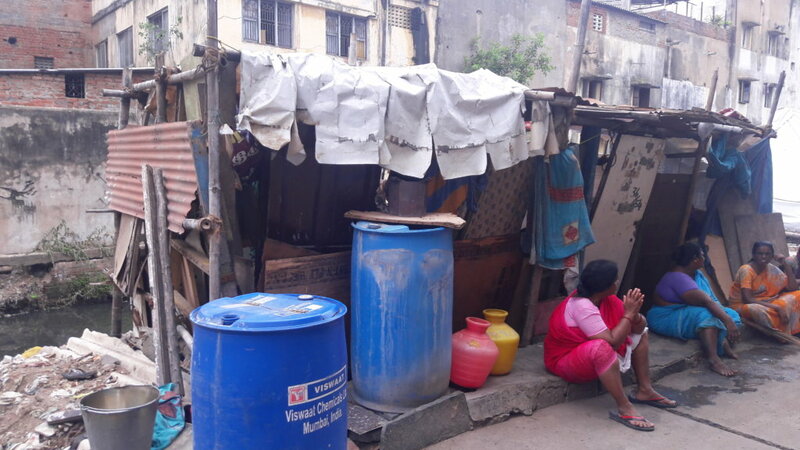 Society for Poor People Development (SPPD) has been working in the disaster affected poor slum habitations since the heavily disastrous deluge that shook the city of Chennai in the year 2015. 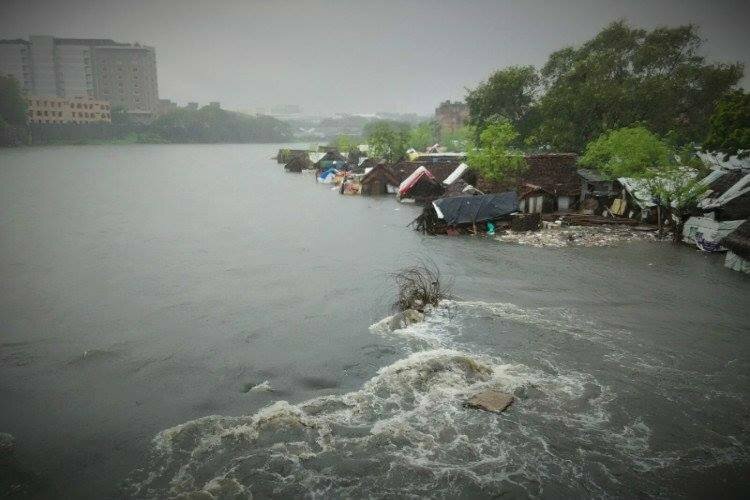 Disaster Preparedness is carried out as a continuous intervention by SPPD in association with Global Giving and Red Cross in the slums here. 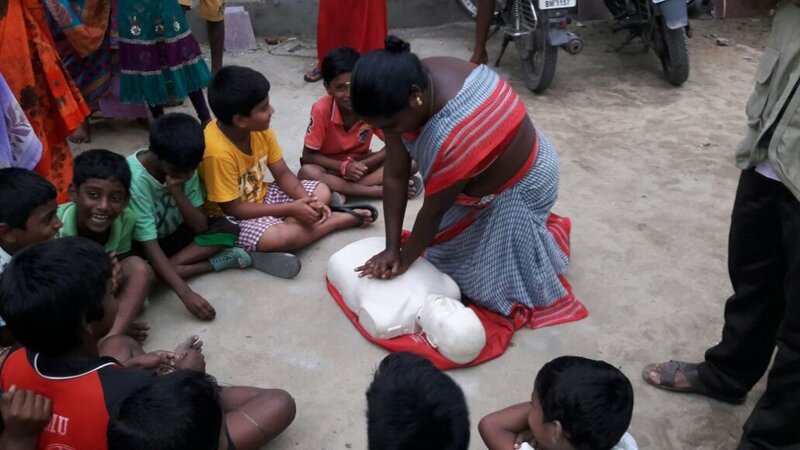 For past three months we have been demonstrating and educating basic precautions that should be taken among children, youngsters, adult and aged people. 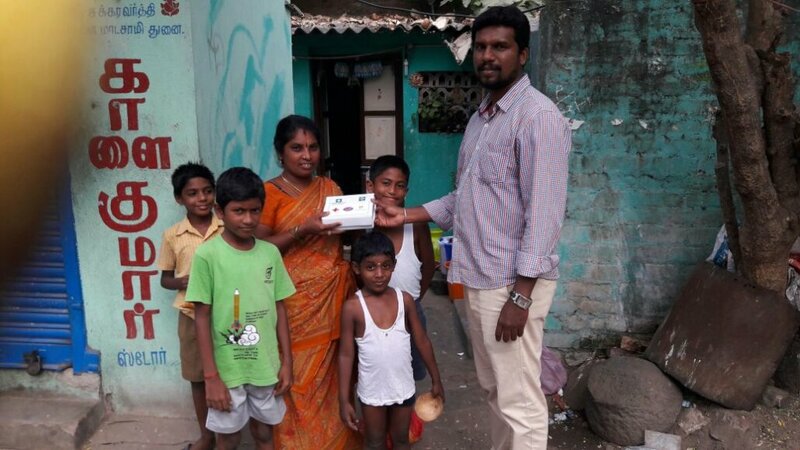 We are providing whistles for children and guiding them to make alarm when they are realizing that they are not in safe circumstances. 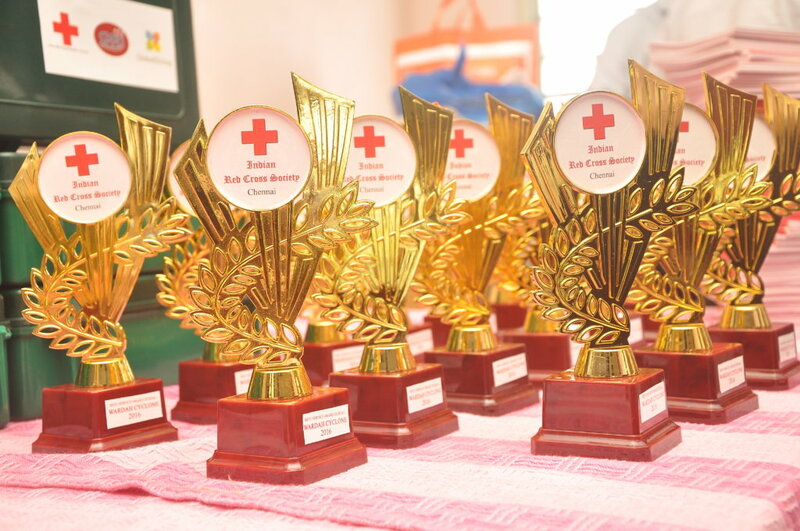 We are leading them into the world of awareness about personal hygienic and lack of hygienic habitual actions which may lead into or causes severe diseases during the disaster. 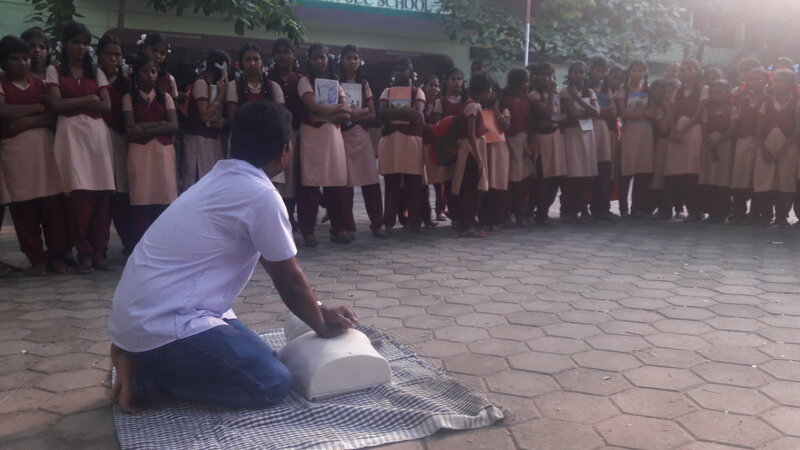 We demonstrate the first aid procedure to handle health problems towards breathing when they are in need of emergency treatment, and what are the methods and procedures should be carried out to stop fire before spreading vigourously and how to carry emergency patients those who are under major injuries. For these whole training activities we have chosen 150 community members, among them we have trained and summarize the list as 50 voluntaries and provided Emergency Medical Kit. 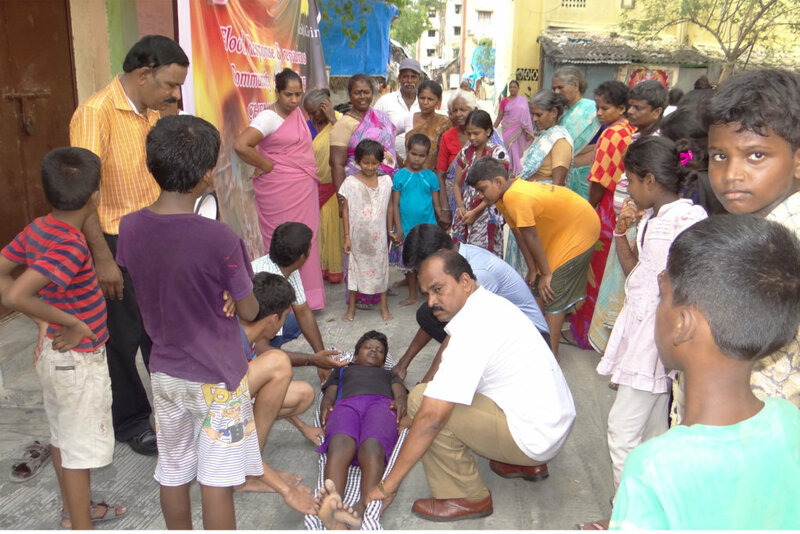 All these activities are taken place at the areas of Dr.Giriyappa Salai and Kovil, M.k Radha Nagar, Thiru V.KA Gudiyiruppu at the broad surroundings of Teynampet in Chennai. 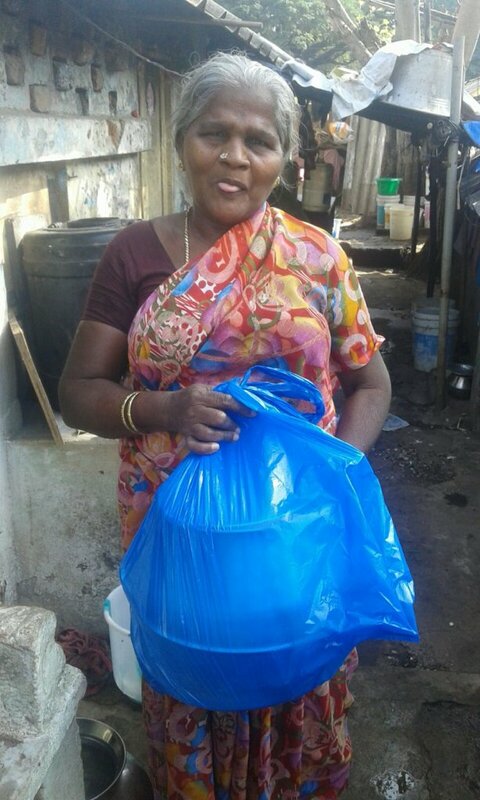 And the sufferings of the poorest communities, who live in the hundreds of slum settlements was unthinkable indeed so SPPD team have involved to bring up betterness in their life. We would like to thank you for generous support and you have become a part of this intervention and extended a helping hand to prevent the loss of the lives and heavy damages of the hapless poorest communities living in our slums. 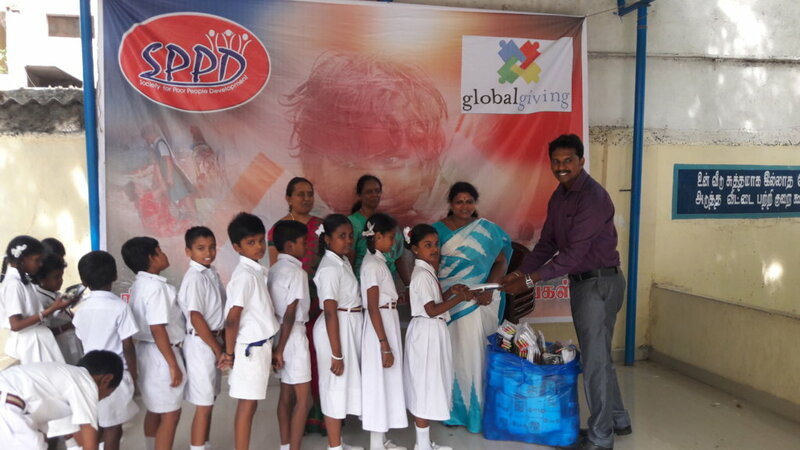 We would like inform our special gratitude to Mr.Shann Lakshmanan, Chennai flood Fundraiser.